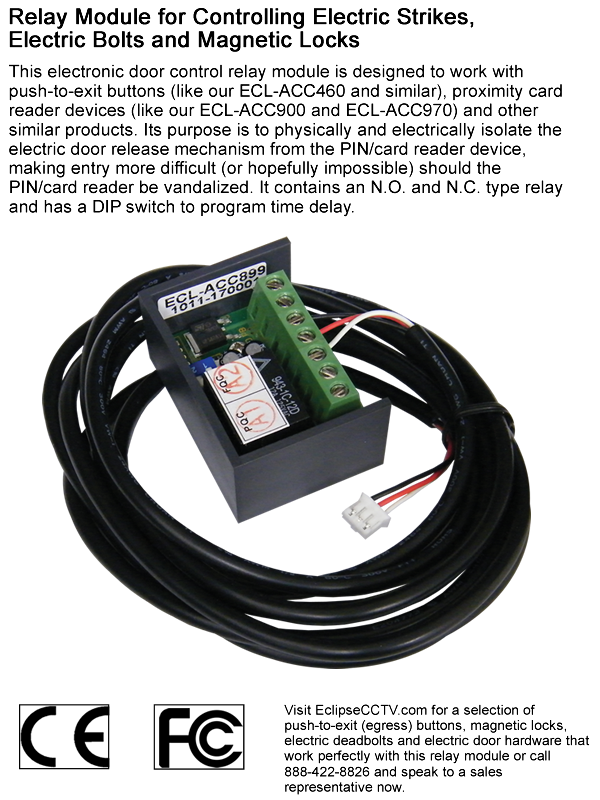 If a card reader or other entry device is connected directly to the electrical door hardware (magnetic lock or electric door strike), it can be possible for vandals to open the door through bypassing the reader (breaking it off the wall and accessing bare wire contacts). Obviously this is not a desirable installation technique. The TCL-ACC8990 relay module accepts data from card readers and then asserts the door control hardware. It adds an extra level of security. This TCL-ACC8990 is designed to work with push-to-exit buttons (like our ECL-ACC460IL and similar), proximity card reader devices (like our ECL-ACC900 and ECL-ACC970) and other similar products. It contains an N.O. 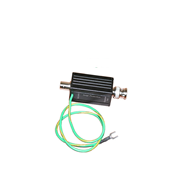 and N.C. type relay and has a DIP switch to program time delay.